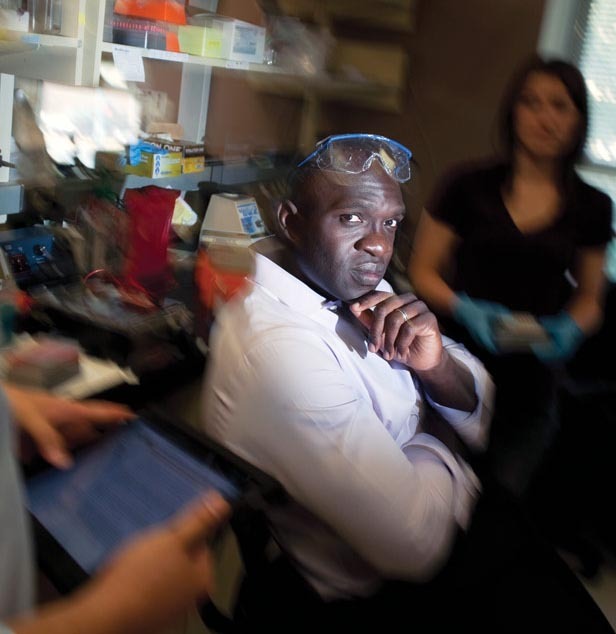 Diagnostic tests being developed by Yemi Adesokan and his company could let physicians quickly and cheaply pinpoint features of a patient's infection, such as whether it is resistant to certain antibiotics, and prescribe the most effective treatment. In 2009, as a postdoctoral researcher at Harvard, Adesokan cofounded a startup called Pathogenica with the goal of developing commercial applications of DNA-sequencing technologies. Adesokan, the CEO, expects to create a market for tests that use sequencing to detect the microbes behind infections. To identify these pathogens today, scientists must use expensive DNA tests or grow the microbes from a sample—a slow process that doesn't work for many bacteria. And both methods often fail to detect small differences in DNA that can have a huge impact on the organism's virulence and resistance to drugs. Pathogenica's technology can pick out specific regions of a pathogen's genome, such as the genes involved in its ability to infect its host, and sequence many of these regions simultaneously. It minimizes the amount of sequencing, so Pathogenica's approach will be cheaper, faster, and more precise than existing tests, says Adesokan.